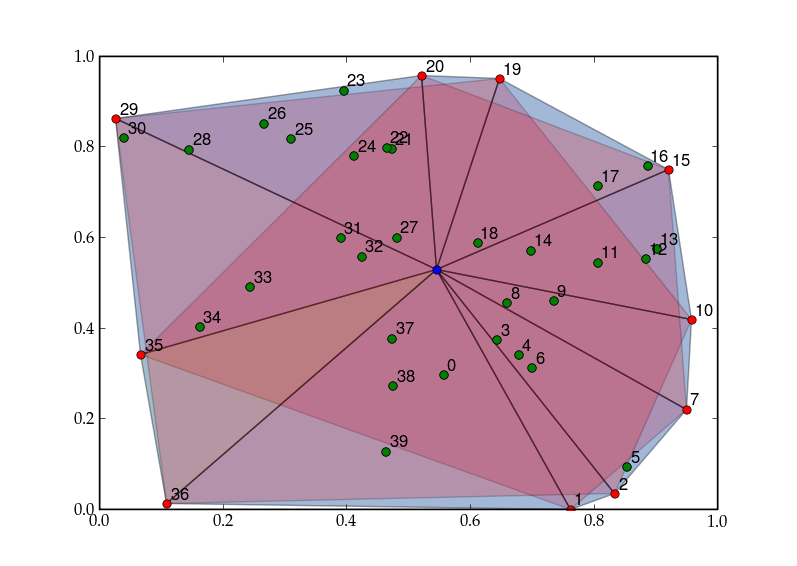 This code finds the subsets of points describing the convex hull around a set of 2-D data points. The code optionally uses pylab to animate its progress. return n.linalg.norm(n.cross((p2 - p1), (p3 - p1)))/2. Recursively eliminates points that lie inside two neighbouring points until only convex hull is remaining. use pylab to show progress?